The 2nd – 5th floor of the 1930’s West Tower building have been renovated: the two auditorium and classroom spaces have been reimagined, creating combinations of traditional classrooms, auditoria, and emerging trends in medical education. Team-based learning, patient simulation mannequins, and techniques for both lecture capture and clinical observation all allow for access to technology in support of the program inside of this historic building. Active learning classrooms employ testing systems meeting the very specific requirements of the testing protocols, and can be employed as break-out areas for discussing the day’s lecture topic for team-based activity, or to be shared with the entire class. 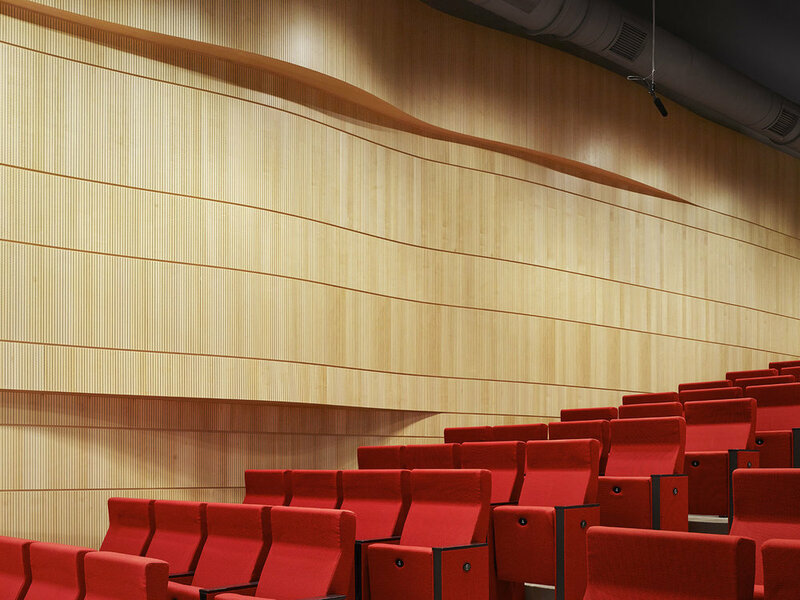 Steps were taken to provide maximum flexibility for the AV systems, which also aid in acoustical separation via the introduction of a raised access floor designed to improve sound isolation.